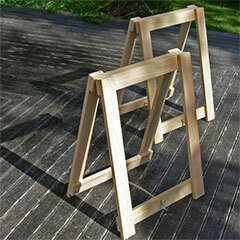 If you're looking to make a trestle desk, these pine trestles are perfect and allow you to simply pop on a top. 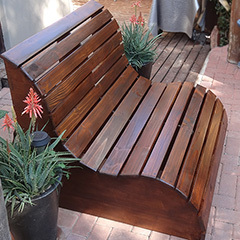 Pine garden love seat finished in a variety of wood tints. 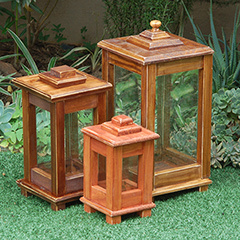 Available in various sizes for a garden, patio or deck. 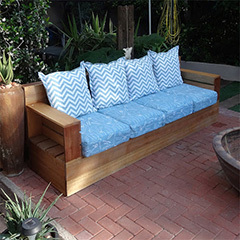 Manufactured from Meranti, this outdoor sofa is available in 2-seater, 3-seater and 4-seater. 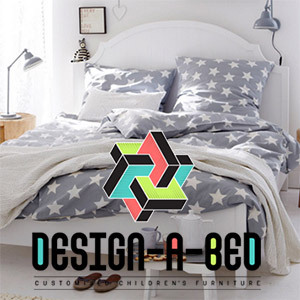 Combination bedside shelf and light. 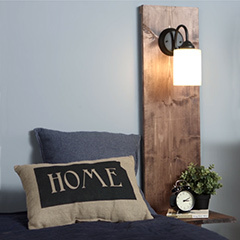 Easily mounted onto wall fittings - even for a rental home. 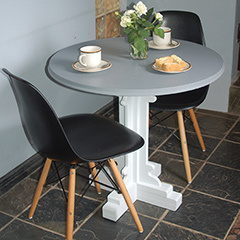 Available in three sizes (side or dining) in your choice of colour, with option for distressed finish. 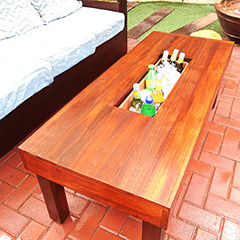 Perfect for decks and patios, weddings and celebrations. Available in three sizes. 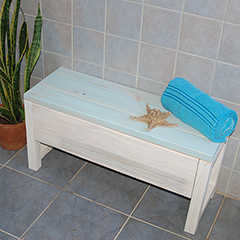 Add more storage to a bathroom with this bathroom storage bench. 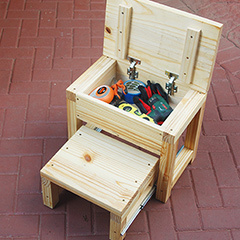 Various finishing options. 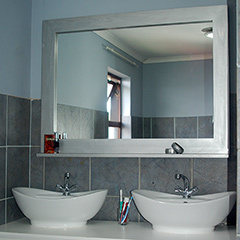 Order a custom framed bathroom mirror finished in a variety of paint or stain options. All information, images, or otherwise, are the property of Janice Anderssen, or relevant copyright holders and for the latter Home-Dzine Network claims no intellectual, or any other property rights. Articles also provided by various sources. See our terms and conditions for use of this website. 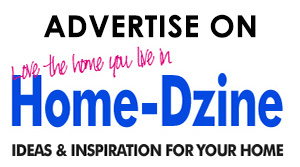 Click here to find out more about advertising on Home-Dzine.co.za.